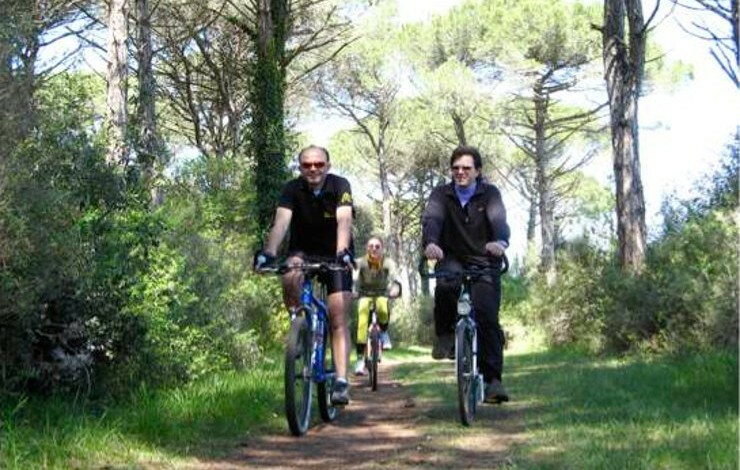 Leaving the pier at Porto Corsini (near Ravenna) it is possible to reach by bus the marvellous Basilica of Sant’Apollinare in Classe and afterwards riding inside the ancient Pinewood areas around the city of Ravenna . Today as in the past, the town of Ravenna stretches along the Adriatic coast and, with its precious mosaics, it looks like a jewel mounted in a green frame. It is a modern active town, but at the same time rich in glorious history. 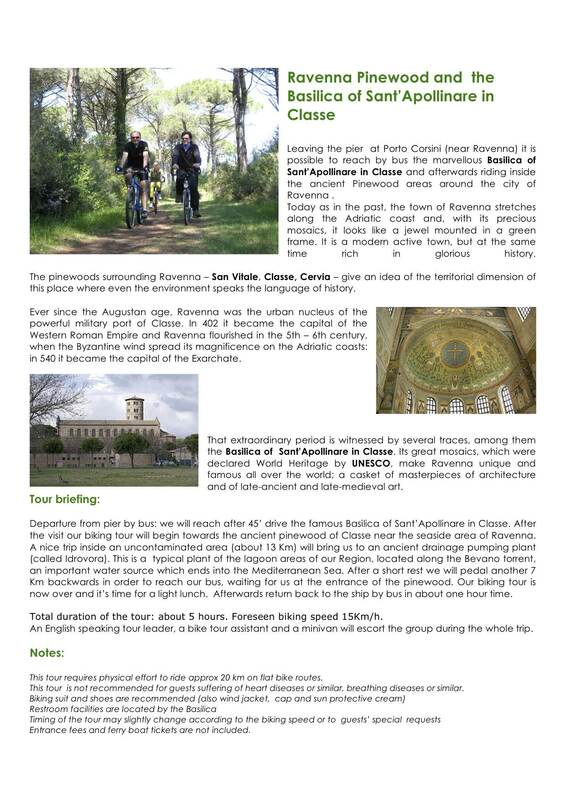 The pinewoods surrounding Ravenna – San Vitale, Classe, Cervia – give an idea of the territorial dimension of this place where even the environment speaks the language of history. Ever since the Augustan age, Ravenna was the urban nucleus of the powerful military port of Classe. In 402 it became the capital of the Western Roman Empire and Ravenna flourished in the 5th – 6th century, when the Byzantine wind spread its magnificence on the Adriatic coasts: in 540 it became the capital of the Exarchate. That extraordinary period is witnessed by several traces, among them the Basilica of Sant’Apollinare in Classe. Its great mosaics, which were declared World Heritage by UNESCO, make Ravenna unique and famous all over the world; a casket of masterpieces of architecture and of late-ancient and late-medieval art. Departure from pier by bus: we will reach after 45’ drive the famous Basilica of Sant’Apollinare in Classe. 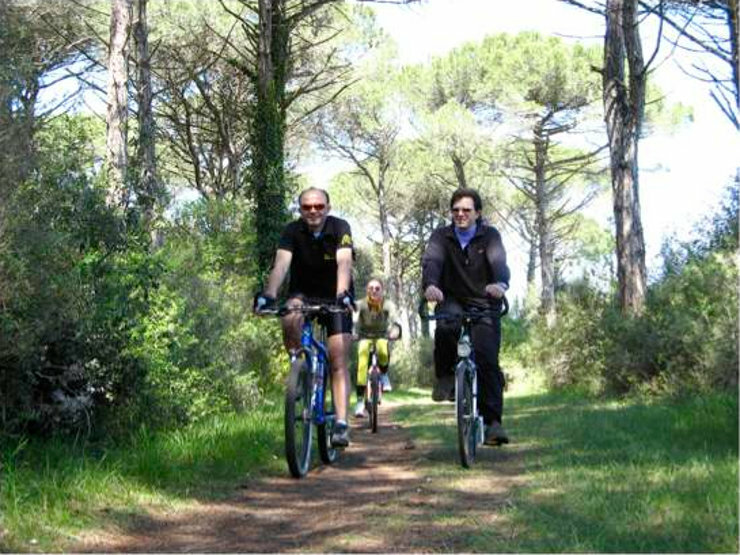 After the visit our biking tour will begin towards the ancient pinewood of Classe near the seaside area of Ravenna. A nice trip inside an uncontaminated area (about 13 Km) will bring us to an ancient drainage pumping plant (called Idrovora). This is a typical plant of the lagoon areas of our Region, located along the Bevano torrent, an important water source which ends into the Mediterranean Sea. After a short rest we will pedal another 7 Km backwards in order to reach our bus, waiting for us at the entrance of the pinewood. Our biking tour is now over and it’s time for a light lunch. Afterwards return back to the ship by bus in about one hour time. Total duration of the tour: about 5 hours. Foreseen biking speed 15Km/h.